Sometimes I wonder if I have split personality. Like you see, I was all chirpy and jumpy all morning till evening. Come 7 PM and I am a grump bag, snappy beaatchh :P May be its the weather, may be its life. Or may be, if you sleep for just 4 hours each night for three nights straight, brain wiring gets messed or something? 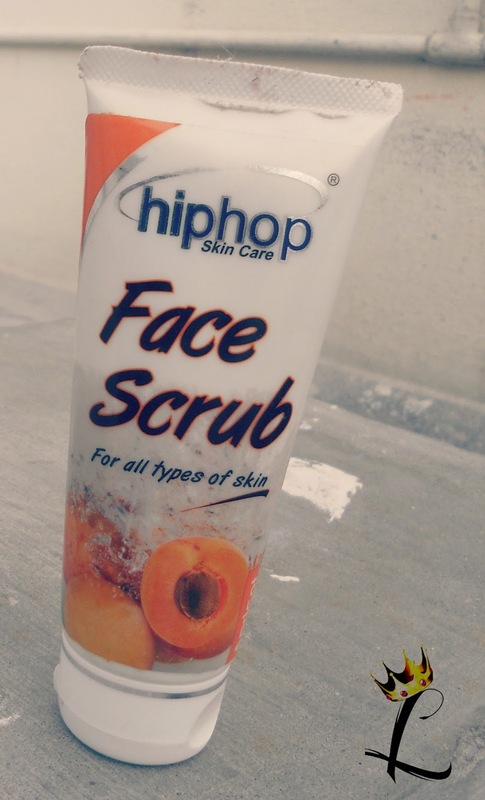 Anyho, to avoid mankind, I decided to do some product review and that's why, say hello to Hip Hop's skin care products. 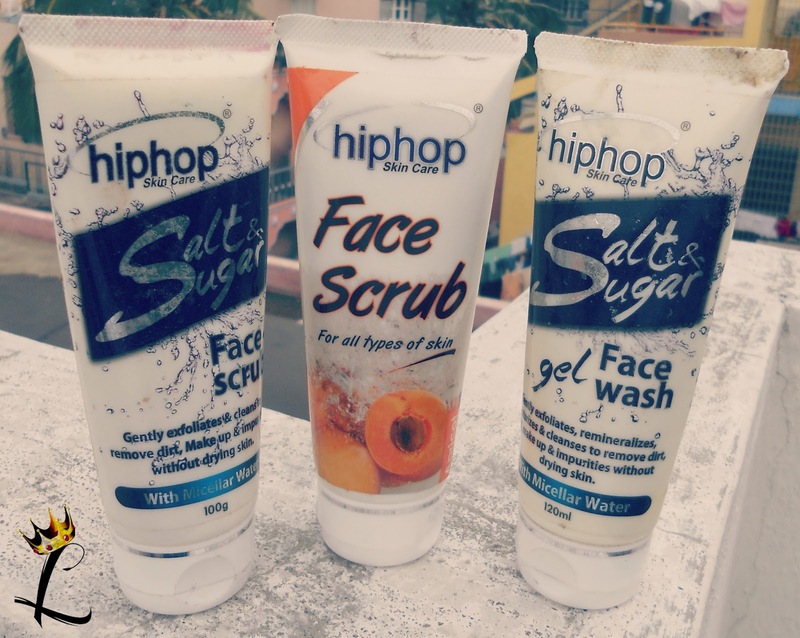 Today lets see Hip Hop Salt And Sugar Face Wash and Face Scrub, and the fruit scrub. 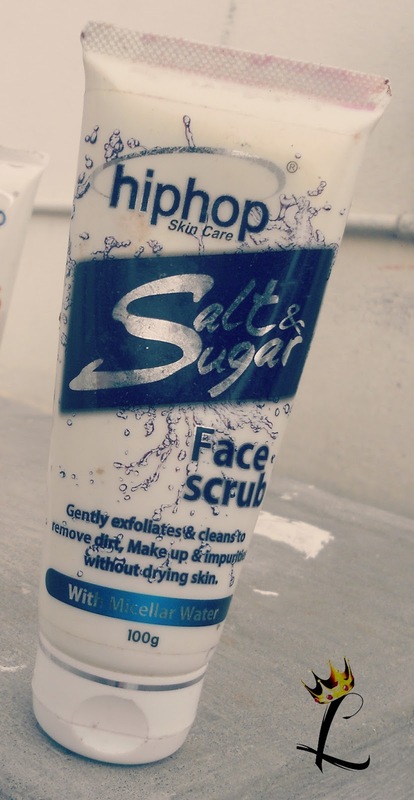 Hip Hop Salt and Sugar face wash and scrub combo is my sister's favorite already. For an extremely fussy person, she loves the way it smells "like ocean and sea and salt and sugar". If you have a sensitive nose or prefer fruity smells, then you might want to check before you buy. The facewash is white and the texture is gel like and spreads easily. Right after washing, skin feels cleansed and there is no noticeable dryness. The scrub is white too and has the the same fragrance. The texture it has resembles an immediate mixture of salt and water. It isn't abrasive on the skin and spreads well, does a decent enough job of cleansing, especially if you have ultra sensitive skin. Its very mild a scrub for oily skins like mine that trap grim. It costs Rs.125 for 100 ml and has a shelf life of 2 years. The apricot scrub has a slightly more gritty texture, I would be cautious of it around pimples if any. It cleans well and makes skin super soft. The apricot scrub is better as a body scrub 'cuz I find it pretty harsh for face. So that's about it, guys. I shall update reviews with the remaining products okay? PS: Products sent by brand, opinions are mine.